A member of the Lagos state House of Assembly representing Eti-Osa constituency 2, Honourable Gbolahan Yishawu has said the mammoth crowd at All Progressives Congress (APC) rallies nationwide is an indication of the good governance by the party. Yishawu made the statement while speaking to journalists on the sidelines of the flag-off of his campaign in Lagos on Monday, February 4. He maintained that people trooped out to support party at the campaign venues because of the APC's good reputation. “We are out to create awareness regarding the general elections. The mammoth crowd is as a result of what APC has done from Federal to local governments levels. “You can see that people are happy with the party and those are the electorates,” he said. Also speaking, the APC leader in Ikoyi Obalende, Honourable Wale Edun explained that the mammoth crowd came out en-masse in support of APC, Honourable Yishawu and other candidates of the party. 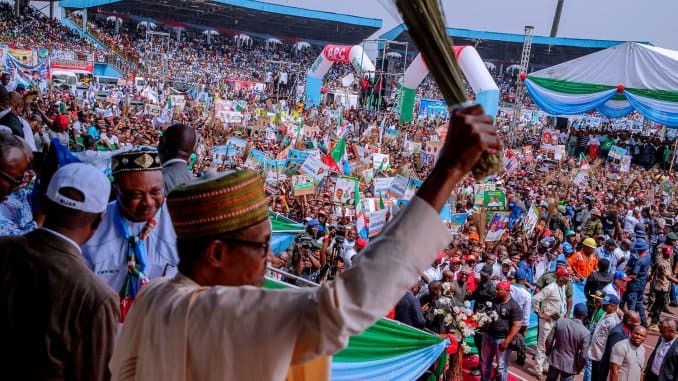 He called on Nigerians to vote for President Muhammadu Buhari, Honourable Yishawu and other candidates of APC, saying voting for the party will bring development and progress to the nation. Dr. Ajulo gave the assurance in an interview with journalists recently based on what he called his predictions on well-researched information gathered on the field ahead of the 2019 general elections.